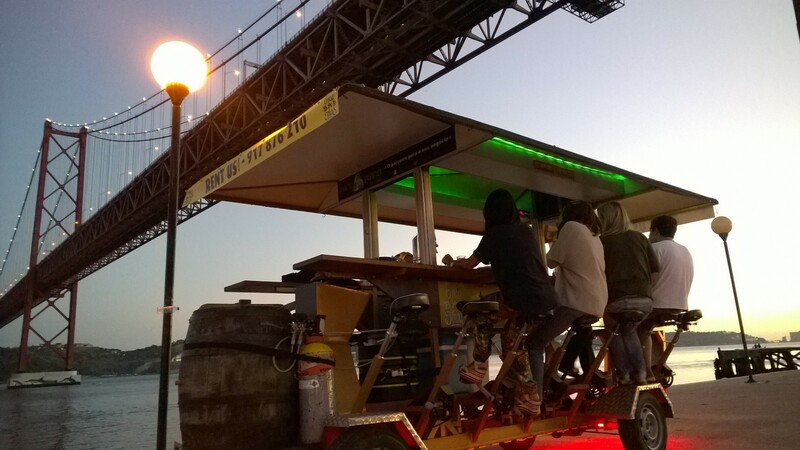 Bike Bar Tours | Unique fun in Lisbon, Portugal | TAKE THE BAR 4 A WALK! | What are U waiting for? Book now! Learn more about usBook now! Book a BBTrip with your friends and came and have fun, while enjoying the beauties that the Belém riverside offers. Appreciate the view from a top place in Lisbon while you enjoy the cool drinks and have some fun with us. Team building is vital for a successful outcome in any aspect of life we believe your team will be more receptive to your message and the learning opportunities, whilst enjoying themselves in the beautiful environment offered in Portugal. If you want to take bike bar for a ride you just have to book your tour and bring your friends at the combined time. 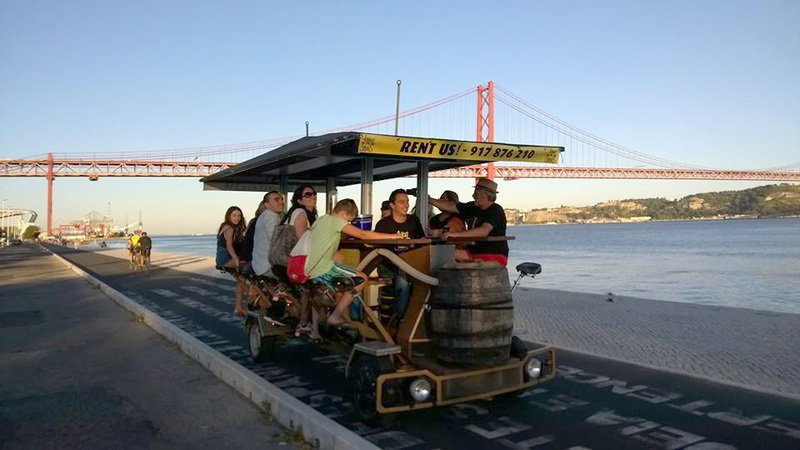 A different way of getting to know the most beautiful locations in Lisbon. Ideal for anniversary parties, bachelor parties and other celebrations. It seems like people like us! Besides TripAdvisor awarded BBT with an Excellency Certificate 2016, the daily feedback we receive motivates us to work hard, and do better every tour, fulfilling client’s expectations.